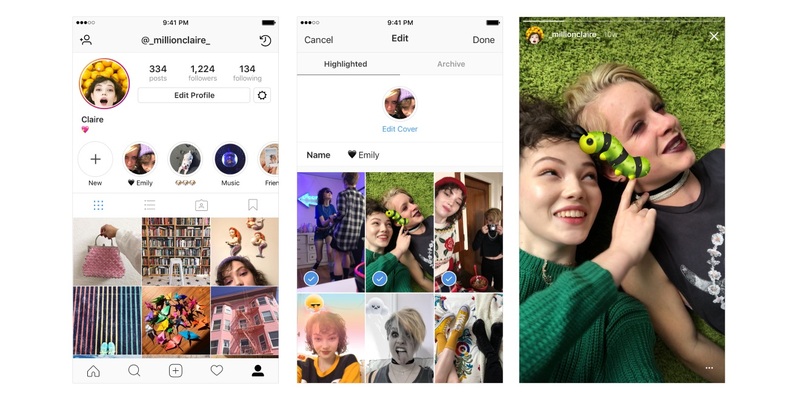 Instagram rolled out two major updates to its Stories feature: the ability to add Stories to its Archive feature, and the ability to group previously shared Stories into Highlights on users’ profiles. The two new updates are currently available to users with Instagram version 25 on iOS and Android. 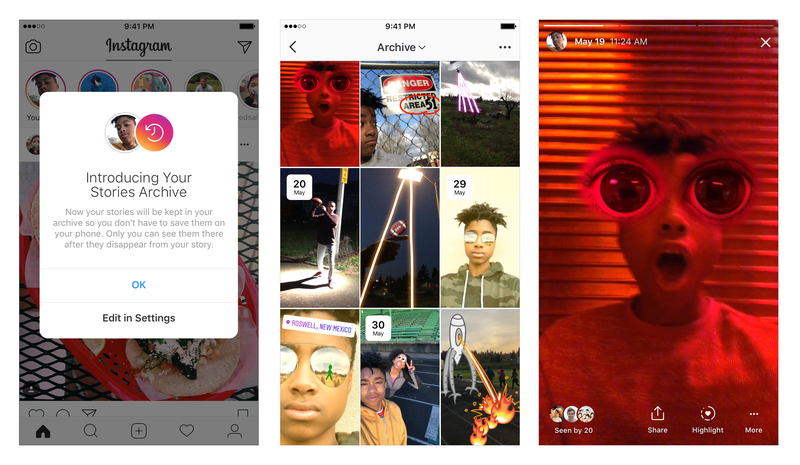 Instagram said in a blog post that starting Tuesday, Stories will automatically be saved to users’ private Archives after they expire, and users have the options of resharing those Stories as posts in the Facebook-owned photo- and video-sharing network’s feed, adding them to highlights or turning the feature off altogether. Meanwhile, Stories Highlights (pictured at the top of this post) are a new space on users’ profiles where Stories that have previously been shared can be added, giving them a way to give their Stories life for more than 24 hours. Stories Highlights can be created by tapping the New circle on the far-left side of the application, after which users can choose Stories from their Archives, select a cover for their Highlight and name it. Once all of those steps are completed, Highlights will appear as circles on users’ profiles, and when other users tap them, they play as if they were stand-alone Stories. Users can add as many Highlights as they wish, and they will remain on their profiles until removed. Users can edit or remove Highlights by tapping and holding on them in their profiles.